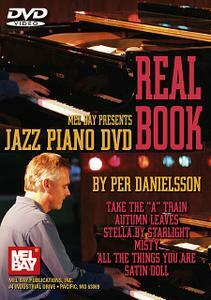 Jazz Piano DVD Real Book | Free eBooks Download - EBOOKEE! Posted on 2017-02-23, by everest555. Learn loved jazz standards from a piano player's point of view. Per Danielsson analyzes and teaches both melodic and harmonic material with an "easy to understand" approach, paying particular attention to each tune's unique features and demonstrating elements of the standards that have evolved over time to become the recognizable components that make these songs the classic masterpieces as we know them to be. No comments for "Jazz Piano DVD Real Book".